Swiss national Bahar succeeds longtime Lotus CEO Michael Kimberley. A top executive is trading in his Ferrari red for the green of Lotus. Dany Bahar will take over as the CEO of the British sports car maker Oct. 1. Bahar, a Swiss national, fills the spot vacated by longtime Lotus CEO Michael Kimberley, who retired in July because of back problems. 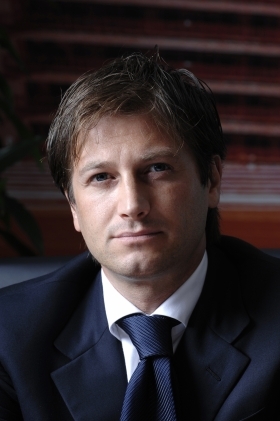 Bahar was Ferrari's senior vice president responsible for global car sales. He also oversaw marketing for the company's car and Formula One businesses, as well as licensing and merchandising. Before working for Ferrari, Bahar was head of corporate projects for Red Bull, where he was involved in commercial strategy for its F1 and U.S. stock car (NASCAR) efforts. “I am looking forward to taking on the challenges as CEO of this legendary and iconic company with a peerless motorsport history,” he said in a statement. “Lotus has a worldwide reputation for innovative engineering and superb sports cars that lead the world in efficiency, design and dynamics. With the recent launch of the Evora, there is proof that Lotus is better placed than many to capitalize on the rapidly changing automotive market. I can't wait to get my plans under way in October."